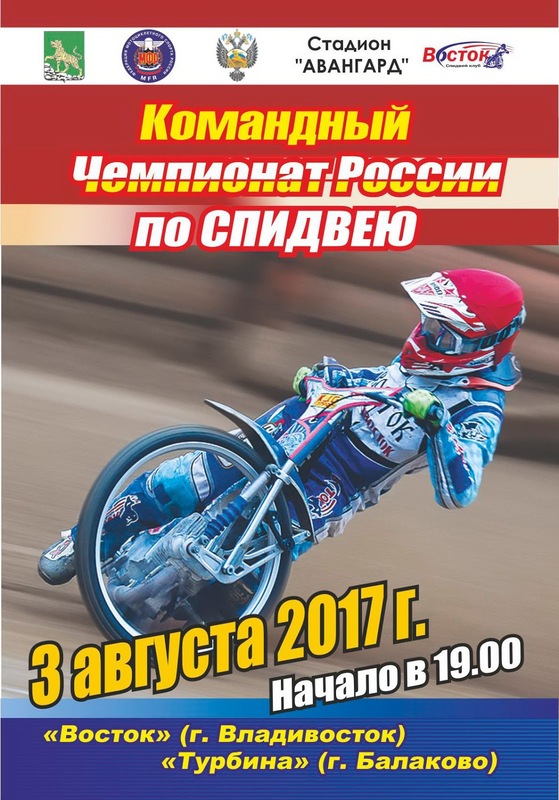 Eisspeedway Journal: Results - Russian Team Championship 2017 "VOSTOK" (Vladivostok) - "TURBINE" (Balakovo) 3.08.2017. 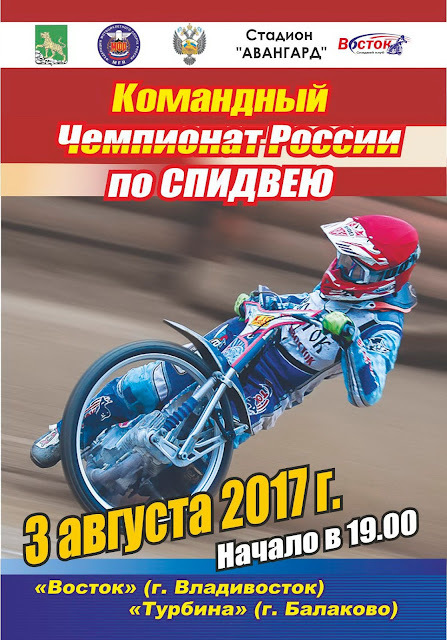 Results - Russian Team Championship 2017 "VOSTOK" (Vladivostok) - "TURBINE" (Balakovo) 3.08.2017. Victory ended today's race in Vladivostok. Races in the Avangard stadium were very hot and tense. The fate of the race was decided literally in the final race, where the athletes of the team "Turbine" were able to achieve an advantage in the account. Russian Team Championship 2017 "VOSTOK" (Vladivostok) - "TURBINE" (Balakovo) 3.08.2017.